I never laid eyes on Elvis, but I certainly tried. A photo of him with anyone, or even solo in his later years, was worth more than a photograph of Britney Spears in today's market. 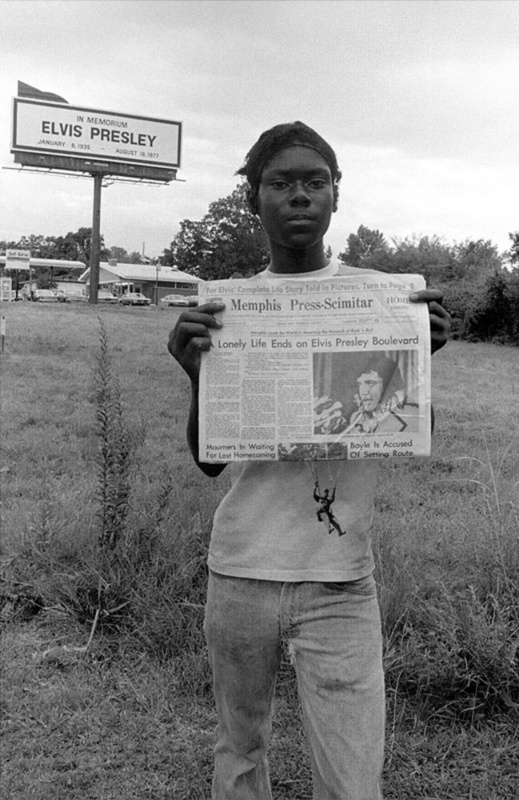 I was sent to Memphis to cover the funeral by "Bunte," a weekly German magazine. It was one of my first trips out of town and certainly, looking back, one of the most important. The National Enquirer had dispatched a Swat Team to dig up dirt and to get a photo of him in the coffin. I was busy shooting the crowd of fans. It was August and just broiling with heat and humidity. The kid selling the newspaper was doing brisk business. I think the paper was originally for sale for a dime and he wanted a buck. I took two.